Christians use Internet to refute mainstream media misochristism—and be heard! For a long time, the mainstream media (MSM) has given Christianity a raw deal. Barely an Easter or Christmas goes by without some trashy ‘documentary’ or article allegedly debunking the Resurrection or Nativity accounts in the Bible. This Christmas time, Christians were treated to regurgitations of the tired old liberal canards attacking the virgin birth of Christ by Time1 and Newsweek2—cover stories no less. Without fail, such articles will present the alleged ‘epitome of scholarship’, but only from a theologically liberal perspective. It’s important to realise that this perspective commits a basic logical fallacy of begging the question: i.e. presenting a premise as a conclusion. In particular, liberalism begins with the assumption that no miracles are possible. Yet the MSM present their denial of miracles as the conclusion of their allegedly brilliant scholarship. In reality, given their anti-miraculous bias, it would indeed be a miracle if they did NOT conclude that no miracles occurred! This is blatantly so with the self-appointed Jesus Seminar, which always seems to be cited although they are on the far left fringe even of liberalism. Readers can skip to refutation of Time and Newsweek attacks on Virginal Conception, but before that, we explain why the MSM is this way, and how the Internet has enabled Christians to present the truth to a wide audience that was previously under the hegemony of the MSM. However, this is not the same as asserting that there is a left-wing conspiracy in the media. Rather, the former CBS journalist Bernard Goldberg argued in his book Bias: A CBS Insider Exposes How the Media Distort the News and its sequel Arrogance: Rescuing America from the Media Elite that the liberal distortion is not usually conscious. Rather, these views are entrenched into people’ thinking in these circles, and they so rarely encounter contrary views among their peers, that they think they are ‘normal’. Thus anything even moderately conservative, including in theological matters, is dismissed as right-wing fascism. So the problem is even harder to fix, because many of the most biased people are blind to their own biases. Thus there is a parallel with what we have often pointed out with the creation-evolution issue. It is not so much the facts, but the way a person’s worldview causes him to interpret the facts. And the dominant worldview, even among many professing Christians, is materialism or naturalism—matter/nature is all there is. And once again, we are not asserting a conscious conspiracy or widespread deception. Rather, the worldview is so ingrained that most people don’t even realise that it colors their interpretation. Very few evolutionists realise it, but there are a few isolated admissions, such as by Lewontin, Todd and Ruse. However, while in many cases there is no conscious deception, evolutionists are not blameless. At some time, they made a deliberate choice of materialism, which is a sinful rejection of the evidence for a Creator (Romans 1:18–32). Another parallel is that it’s very hard for viewpoints opposing the prevailing bias to get a fair hearing, as even the evolutionist historian of science Evelleen Richards recognized. These parallels should also alert readers to the anti-Christian nature of the MSM’s evolutionary propaganda. Many of them would have us believe that their pro-evolution stance is purely scientific, and has nothing to do with any agenda against the Christian faith. But when the same media outlet pushes both evolution and blatant attacks on the reliability of the Gospels, Christians should not be willing to give them the benefit of the doubt. In Australia, a Humanist of the Year called Ian Plimer had the MSM at his beck and call, and they would consequently publish all sorts of outrageous lies against biblical creationists. Only rarely would any reasonable creationist response get any airtime, even when an independent committee of enquiry demolished all the claims in his major book. However, with our website, we can reach many more people with answers. So when Plimer wrote a virtually fact-free anti-creationist diatribe in the popular-level journal Australasian Science 22(1):36–37, January/February 2001 (and of course we were denied any response), we could counteract it in More nonsense from Professor Plimer. The editor was most unhappy at the breaking of the humanist monopoly in the marketplace of ideas, and demanded that we remove our response. But we refused, so all he could do was seethe in impotent rage. And Plimer has been incredibly quiet, in a huge contrast to his previous vociferous tirades when he likewise had no fair competition. Scientific American published an article ‘15 Answers to Creationist Nonsense’ by John Rennie (Editor), Scientific American 287(1):78–85, July 2002. Very soon after, we published the point-by-point response 15 ways to refute materialistic bigotry. Evidently the threat that their diatribe would have to face competition bothered SciAm so much that they likewise demanded its removal. In fact, the talk on the skeptics’ own websites was that SciAm had been stung where it hurt the most—in sales—so were reluctant to raise the issue again. U.S. News and World Report ran a cover story pushing evolution—‘A theory evolves: How evolution really works, and why it matters more than ever’, 29 July 2002. It didn’t take long for CMI to post a refutation, answering the fallacies point-by-point. Irish Times published a two-part offensive on 9th and 16th November 2000 in their ‘Science Today’ section. CMI again quickly showed how ignorant the writer was on this matter, in this refutation. PBS showed a hugely funded 7-part series on evolution in 2001. Within a day or so of each episode, we were able to respond. In fact, this hugely increased the number of visits to the site, and became the basis for Refuting Evolution 2. The BBC produced a TV program allegedly debunking Noah’s Ark in March 2004. We responded quickly with Yes, Noah did build an Ark! It seemed to have some effect, because some of the most egregious blunders were soon expunged from the BBC website’s transcript. National Geographic has long been pushing their evolutionary faith. Sometimes their eagerness has left egg on their face, such as when they pushed Archaeoraptor as proof ‘that birds are theropods [a type of carnivorous dinosaur] just as confidently as we say that humans are mammals.’ However, this turned out to be a fake, a sort of Piltdown Bird—see Archaeoraptor—Phony ‘feathered’ fossil. More recently, they published an article ‘Was Darwin Wrong?’ answering ‘No’, presenting an apologetic for their evolutionary religion. So we responded with National Geographic is wrong and so was Darwin. At the end, we pointed out that Christian subscribers are helping to fund the proselytizing of an anti-Christian religious view. So we suggested that readers switch from subscribing to NG to Creation magazine. As our keenest readers already subscribe to Creation, this resulted in a number of them switching to the Journal of Creation instead. Another idea, befitting the Christmas season, would be a gift sub. This doesn’t mean that all Internet work is equally good; far from it. But it does allow strongly credentialed and cogent dissent to be publicized. This allows people access to a wider amount of information than the thought-guardians of the evolutionary establishment want us to be aware of. Apart from the creation-evolution issue, there are other examples of where Internet dissent has brought down previously untouchable hegemons. A good example is the überliberal CBS newsreader Dan Rather, who egregiously violated professional journalistic standards of political neutrality by a blatantly partisan report. This time, it wasn’t long before Internet web-logs (‘blogs’) exposed the fact that the documents central to his case were obvious forgeries—text styles not possible on 1970s typewriters but easy with Microsoft Word. However, Rather was so used to being untouchable that he first defended his story, personally attacked the messengers, and bizarrely claimed that the story was still true even if the documents were not (huh? The documents WERE the story!). But now Rather has announced his departure, probably brought upon by the disgrace which was now massively publicized in a way that has only recently been possible (see Mainstream Media Accountability). The Time and Newsweek articles epitomised MSM liberalism. To many minds conditioned by the Enlightenment, shaped by science and all too aware of the Crusades and corruptions of the church, Christmas is a fairy tale. David van Biema, who writes for Time, is not quite so blatant about his liberal bias, but the end result is the same. The two are not independent. If we have enough resources on an issue, then a specific response may not be necessary. And even if it is, the response can point readers to already-existing resources. ‘Augustus conducted no global census, and no more local one makes sense in Luke’s time frame’ (Newsweek). The word for ‘world’ in Luke 2:1 is oikoumenē, which to a Greek meant the Greek world and to a Roman meant the Roman Empire. And it is a historical fact that Augustus decreed that his whole empire should be taxed. And the Greek of Luke 2:2 indicates that the census was one before Quirinius’, which Luke knew about perfectly well. See census. ‘Fellow Jews early on challenged Matthew’s Gospel assertion that it fulfilled a prophecy in the book of Isaiah that the Messiah would be born to a “virgin”. (Isaiah’s Hebrew actually talks about a “young girl”; Matthew was probably working from a Greek mistranslation).’ (Time) In fact, Matthew was working from the accepted Greek translation of the day, the Septuagint (LXX). The translators (72 rabbis, 6 from each of the 12 tribes of Israel, according to legend, hence the name from Latin Septuaginta = 70) who prepared the LXX probably knew what they were doing when they translated עלמה (‘almāh) into παρθένος (parthenos), from which we get the word parthenogenesis. Note that they did so about 250 years before Christ was born, so they can’t be accused of being influenced by Christianity. Fact is, no Jews complained about the translation ‘parthenos’ until Matthew applied it to Christ. And the LXX translators were perfectly justified, since ‘almah is never used of a non-virgin in the Old Testament. And no one explained why the pregnancy of a ‘young girl’ should be a sign—it happens all the time! See Isaiah 7:1–18 exposition. ‘Despite agreeing on the big ideas, Matthew and Luke diverge in conspicuous ways on details of the event. In Matthew’ Nativity, the angelic Annunciation is made to Joseph while Luke’ is to Mary.’ (Time) This is an example of the way that many liberals are challenged in basic logic. It’s amazing how many of them think that a difference is a contradiction. It seems not to have crossed the critic’s mind that the angel informed both Joseph and Mary. There would be an error only if Matthew said that the angel informed only Joseph. Misological media moguls really need a course in elementary logic, e.g. the definition of ‘Contradiction’ from the article Logic and Creation. Suggesting the possibility that the Gospels borrowed from paganism (Time)—see Alleged Pagan Derivation for many reasons this was impossible. ‘Mark and John do not tell about the nativity at all’ (Time). But they (and Paul) use language that strongly suggests awareness of the virginal conception—see Alleged Silence of Mark, John, and Paul. ‘“Radical New Testament critics say it’ a hopeless jumble,” Maier notes. “I myself do not think it’ impossible to harmonize them”’ (Time). This is about the only time a fairly conservative scholar is cited. But even then they don’t publish his explanation, while most of the article is given to asserting that the Gospels contradict. This is typical—if a conservative voice is cited, it’s only a soundbite (or more of an own-goal, even), which is drowned out by the gaggle of liberals, and in this case feminists as well. See this harmonization. Thus a specific response is not necessary—indeed it would be impossible to respond to all the anti-Christian garbage around. However, some scholars have provided some excellent responses on other Internet sites. One is by Dr. Albert Mohler, president of Southern Baptist Theological Seminary, Newsweek vs. The New Testament. A very detailed point-by-point rebuttal is by Harvard Ph.D. Rev. Dr Mark D. Roberts, The Birth of Jesus: Hype or History? Christians might be surprised when they first see such blatant anti-Christian attacks in the MSM. But they should not be, given the widespread anti-theistic bias in the journalism profession—and so ingrained that they are unaware that they even have a bias. However, there is rarely anything new in any of their attacks, and Christians can easily be equipped with answers. For example, the CMI website has a Q&A page, and three of the sections are on the reliability of the Bible, the true Triune God revealed therein, especially in Jesus Christ ‘our great God and Savior’ (Titus 2:13). 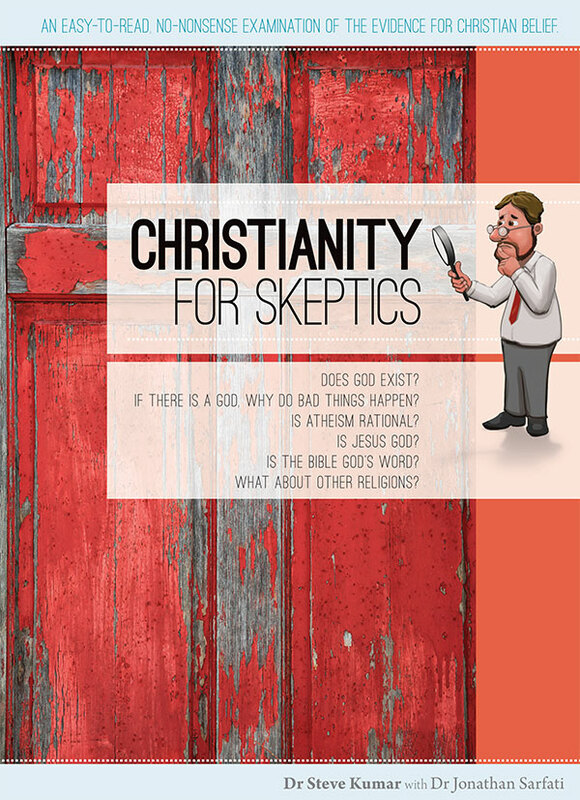 We hope these will help equip Christians with answers when a non-christian friend, neighbour or workmate flashes around the next two-bit anti-Christian diatribe. Meanwhile, may we suggest that Christians might reconsider subsidizing the proselytizing of a counterfeit religious belief in such publications as Time and Newsweek, and use this money instead for a subscription to Creation magazine or Journal of Creation? David van Biema, Behind the First Noel, Time, 13 December 2004, pp. 54–64. Return to text. Jon Meacham, The Birth of Jesus—Faith and History: How the Story of Christmas Came to Be, Newsweek, 13 December 2004, pp. 54–64. Return to text. Lichter, S.R., Lichter, L.S. and Rothman, S., 1992. Watching America: What Television Tells Us About Our Lives. Referenced in Ray, D.L. and Guzzo, L., 1993. Environmental Overkill, Regnery Gateway, Washington DC. Return to text. For the Australian media, see the insightful book Press v Pulpit: Christophobia in the Australian Media by award-winning journalist Cameron Horn. Return to text. Cited in: Where Darwin Meets the Bible, p. 23—by anti-creationist Larry Witham, Oxford University Press, 2002. 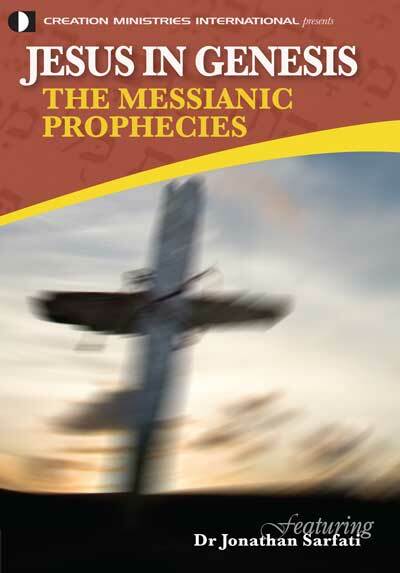 See review by Jerry Bergman, Journal of Creation 17(3):22–24, 2003. Return to text.